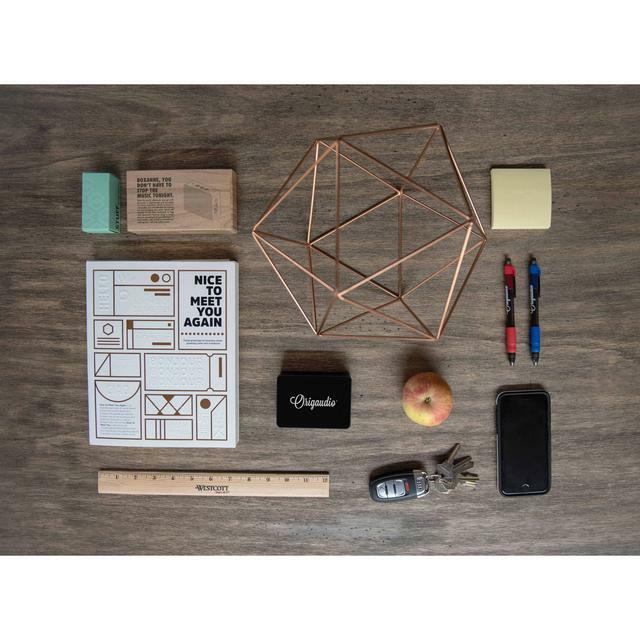 You've found the perfect promotional item for your next give-away! 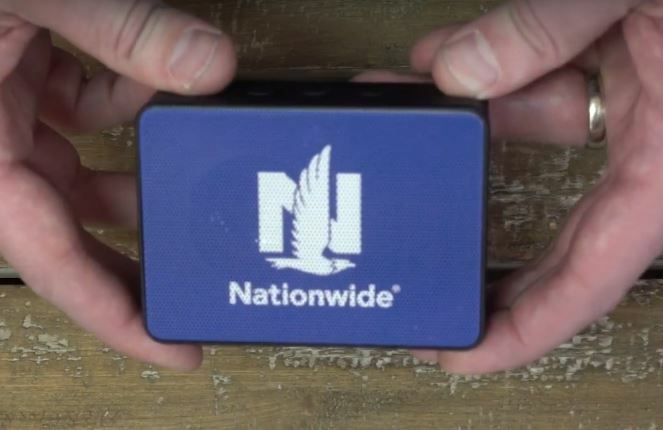 This portable bluetooth speaker gets noticed! It has incredible sound thanks to a built-in subwoofer, and it's pocket sized! Comes with a carrying strap that makes this the perfect on-the-go promotional item. 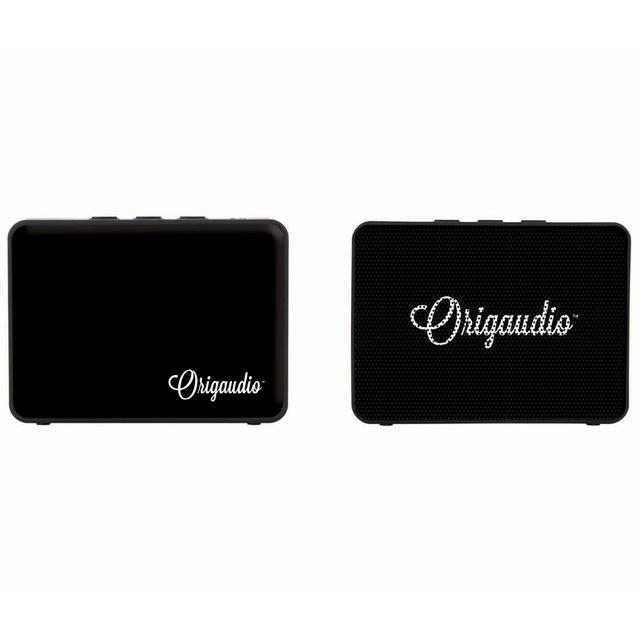 The great sound is assured to get your logo get noticed on the beach, at the gym, or anywhere! 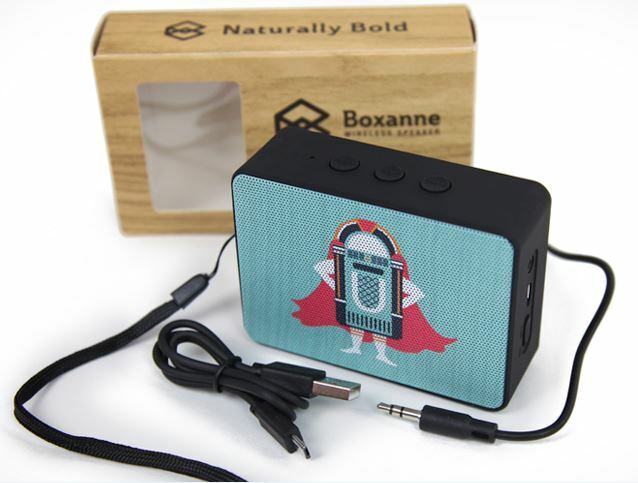 Use the included carry strap to attach Boxanne to any bike, backpack or bag and play your favorite song on your next adventure! Did I mention it also comes with a built-in microphone? 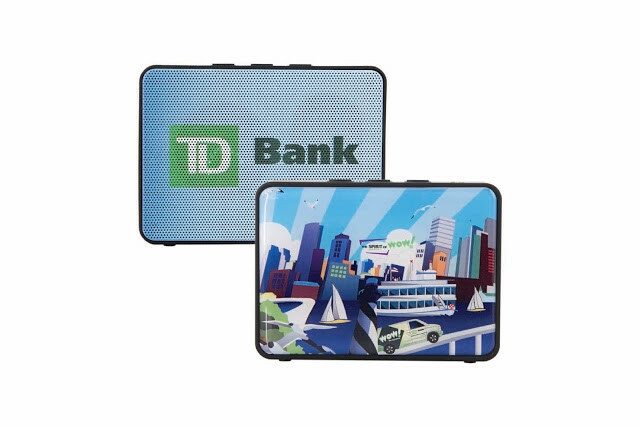 Dual-sided, full-color printing gives any logo double the exposure while it's built-in microphone makes sure your calls are just a button away! Use the included auxillary cord to play your favorite tunes in your automobile!